This Playbook comes right after the ACT-IAC Blockchain Primer and proposes a process and five phases to support the United States Federal Government in its understanding and application of blockchain and distributed ledger technologies for its mission. 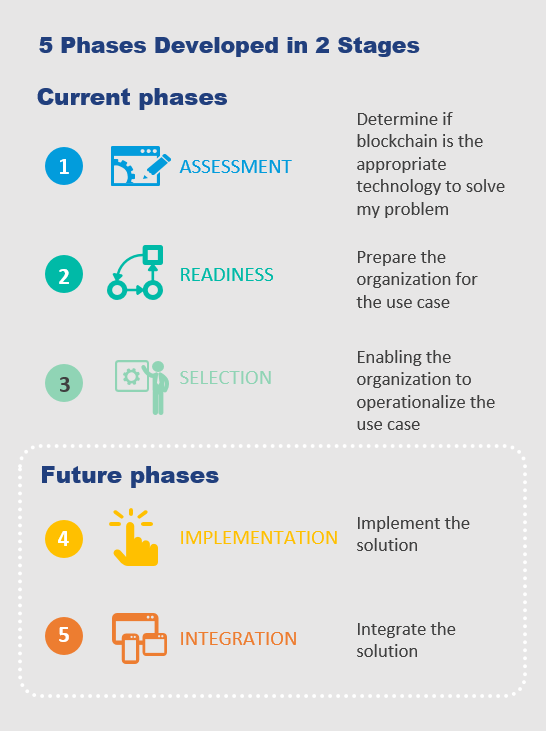 Each phase contains a set of key activities organized in functional areas that go beyond just the technical aspects of blockchain but include management, people, process, and acquisition areas. Blockchain has the potential to help government mitigate fraud, reduce errors, and lower the cost of paper-intensive processes, while enabling collaboration across multiple divisions and agencies to provide more effective and efficient services to citizens. Moreover, the adoption of blockchain may also allow governmental agencies to provide new value-added services to businesses and others which can generate new sources of revenue for these agencies. Informational flyer about the playbook is available here. An interactive version of the playbook is available on GitHub.